A pediatric occupational therapist shares great tips for dressing a child when hypersensitivity to certain fabrics or surfaces is a challenge. 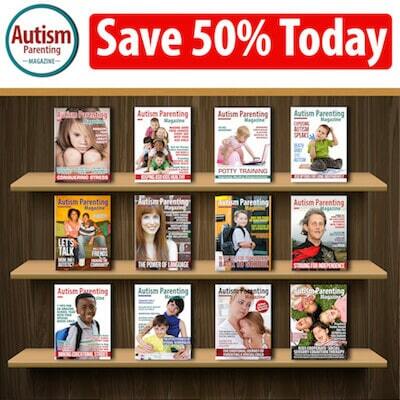 A special guide to the many educational options for young people on the spectrum. An excellent selection of toys for children who like movement, oral sensory inputs, and visual stimulation and who have strong tactile sensory needs. A 21-year-old man shares his personal journey with autism and his insight on ways to help others understand how people with autism think and behave. In My Words: Can You Please Hold the Stereotypes? A young woman on the spectrum shares her frustration with the way some people view autism. An exclusive excerpt from Mploy: A Job Readiness Workbook for parents, educators, and professionals working with students transitioning into independence. An author, motivational speaker, and paraprofessional shares a special AUTISM Interview with Amy Kelly, Director of Family/Community Services for Devereux Advanced Behavioral Health. Excellent tips from the mother of a young man with autism on how to best prepare for the crucial transition to adulthood. A young woman with Asperger’s syndrome explains the value of teaching the difference between fair and equal to children with autism. The mom of five children shares her very personal journey with two special needs children. Great ways to make bath time fun and keep kids regulated so that they aren’t too active or too distressed as you help them bathe. Learn about the growing and changing fields of pediatric chiropractic and neurological chiropractic, which are used to treat autism and constipation. The sister of a young man on the spectrum shares what she wishes others understood about people with autism. The founder and director of a nonprofit and editor of two important websites shares terrific information on the use of incentive charts for children on the spectrum. In celebration of Earth Day, a licensed/certified speech-language pathologist shares outdoor activities to help children connect with the natural world. Learn about Christine Frances Poe’s inspirational tale of a little polar bear travelling for autism awareness and the nine-year-old boy who dreamed of making the world a better place for families. Take a look at Frank Nappi’s triumphant novel about a 17-year-old pitcher with autism who faces immense trials in the harsh and competitive world of baseball. The proud father of an adult child with Asperger’s syndrome shares how his son reaches new heights every day as a writer. Find out about a recent study published in the Journal of the American Medical Association regarding a clinical trial for a drug that may potentially benefit children with autism. Terrific advice on keeping your child with autism safe when it comes to the Internet. Expert planning advice on how families can provide for the lifetime support of a child with special needs and still access government benefits. Learn to make these scrumptious homemade cookies that are sure to please the whole family. Have you ever been told your child with autism spectrum disorder (ASD) has a sensory processing disorder? Researchers at UC San Francisco have estimated that more than 90 percent of children with autism also exhibit atypical sensory behaviors. Sensory processing disorder, formally called sensory integration dysfunction, can dramatically affect the way children react to tastes, smells, sights, sounds, touch, movement, and balance. As most parents know from experience, children diagnosed with autism spectrum disorder (ASD) can be very different from one another. While some children may underreact to sensory stimuli, others may overreact. Loud and sudden noises might upset one child, while another one may tune out everything. One child may be happy to give a hug, while another might cringe at a light touch. Finding solutions for families is a top priority; that’s why we’ve reached out to occupational therapists, autism experts, and parents in search of specific sensory processing advice. If you’re looking to make life run a little smoother for your family, you won’t want to miss this issue. It can be an enormous challenge to find clothes for children with autism because of irritating materials, tags, and seams. Susan Donohoe, longtime sensory pediatric occupational therapist and mother to a child with sensory processing disorder, said it’s important to find comfortable clothing that matches a child’s personality and specific sensory needs. In her piece, 6 Expert Ways to Help Your Sensory-Sensitive Child Dress, Susan provides excellent tips for dressing a child when hypersensitivity is an issue. Falling asleep at the end of the day can be a challenge for children with autism, especially those with special sensory needs, according to Casey Ames, founder of a company named Harkla that is dedicated to producing valuable products for children with autism. In his piece, Amazing Ways a Weighted Blanket May Help Children with ASD, Casey shares the proven benefits of using weighted blankets, including the underlying science of deep touch pressure to ensure a restful night’s sleep. While many children look forward to bath time for some good, clean fun, sensory-sensitive children tend to find the experience more stressful than enjoyable. 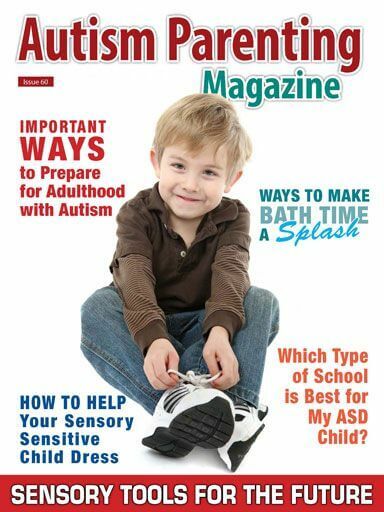 In an effort to find expert advice on the subject, we reached out to Nancy Peske, coauthor of the award-winning book Raising a Sensory Smart Child: The Definitive Handbook for Helping Your Child with Sensory Issues. Please read her piece Simple Ways to Make Bath Time a Splash with Sensory Issues as she shares tips for making bath time fun and keeping children regulated so they aren’t too active or distressed in the tub. Choosing age-appropriate toys for children on the spectrum can be overwhelming, especially if the child has very particular needs. One of our readers, Tulika Prasad, has shared with us an excellent selection of toys for children who like movement, oral sensory inputs, and visual stimulation and who have strong tactile sensory needs. For great gift ideas, take a look at The Best Sensory Toys for Your Child with Special Needs. As always, it’s so exciting to see the fervor National Autism Awareness Month and World Autism Awareness Day (April 2nd) brings to families globally. From fundraising walks and family festivals to autism awareness programs and specialized workshops, there are celebration options for everyone. And with tens of millions of people diagnosed with autism worldwide, the need for this kind of enthusiasm and acceptance is essential for the future. In an effort to further build awareness and understanding, we asked several readers who are on the spectrum to share their innermost thoughts and concerns. Please take a look at James T. G. Link’s piece, In My Words: Navigating the Abyss of Autism, as a young man with ASD provides personal elements of his daily life along with his inspirational long-term goals. We also have an excellent piece written by Leanne Strong called In My Words: Why It’s Important to Teach the True Definition of Fairness, in which she explains the value of teaching the difference between fair and equal to children with autism. As a young woman with Asperger’s syndrome, Leanne openly shares her advice using her unique perspective. And in the piece In My Words: Can You Please Hold the Stereotypes?, Kaelynn Partlow, a young woman on the spectrum who has contributed to Autism Parenting Magazine in the past, shares her frustrations with the way people tend to label autism. These personal pieces should be shared with your friends, family, and community to garner a better understanding of ASD. Another holiday you can observe with your family this month is Earth Day, April 22nd. This worldwide celebration gives us a perfect excuse to head outside and connect with nature. For exciting activity ideas, take a look at Elizabeth Sautter’s piece called Simple Ways to Build Social Skills and an Appreciation for Nature, as the licensed/certified speech-language pathologist shares ways to help children with autism connect with the natural world. There are so many teachable moments and opportunities to bond with one another. Let’s connect and continue to move forward together!